Encouraging children to be kind and help each other will be the focus for anti-bullying week in Gloucestershire. Gloucestershire Healthy Living and Learning (GHLL) has joined up with the Songwriting Charity to run 18 workshops in schools throughout the county in November. More than 500 children from 17 primary schools and one secondary school will be involved in producing their own songs and videos. The aim of the workshops is to encourage young people to be kind to each other, promote positive behaviour and to raise confidence levels. The main activity will be focused around anti-bullying week, which runs from November 18th to 22nd. Young people in school are being supported to write, rehearse and record an original song and video which will be uploaded to the Songwriting Charity website on the same day. It is free for the children to download and schools can use the songs for presentations and assemblies or for use in their communities. The schools will also be encouraged to use ‘Bottles of Kindness’ to help young people record their acts of kindness and see the impact of the choices they make. Lessons plans will be provided to support this. The other primary schools taking part in November are St Mary’s Roman Catholic Primary, Tibberton, Gretton, The John Moore, Picklenash, Queen Margaret Primary in Tewkesbury, Staunton and Corse and Highnam. The secondary school taking part is Newent Community School. Other schools will be booked in for December. The focus is on schools in the most rural parts of Gloucestershire, ensuring those with least access to the arts are given new opportunities to participate. Cllr Dorcas Binns, Cabinet Member for Public Health and Communities, said: “We know from the Online Pupil Survey that an increasing number of young people feel confident in how their school deals with bullying but it’s vital that we keep up the good work. The Songwriting Charity offers one-day workshops and performance programmes that provide children with opportunities to sing, write lyrics, perform and record their ideas individually and as a team – evaluating their progress and supporting them to help their friends. Ben O’Sullivan, Director of Programmes at the Songwriting Charity, said: “This year’s programme will encourage acts of kindness through songwriting, giving kindness the reputation it deserves, as well as leaving the legacy of an original song for all the schools that take part. Gloucestershire Healthy Living and Learning (GHLL) is funded by Gloucestershire County Council Public Health. It provides targeted support to schools to tackle areas they want to focus on improving. This could range from helping ensure more of their pupils eat breakfast to increasing opportunities to be active or improving support to pupils affected by bullying. When schools apply to become a GHLL Healthy School, their form will be pre-filled with what their pupils have told us in the Online Pupil Survey. As well as saving them time filling in forms, this will mean that pupils’ views are listened to and acted upon. Schools will need to identify two key areas for improvement – one of which needs to focus on a vulnerable group of pupils. Targeted intervention and support to tackle these priorities will then be provided free to schools by a group of leading teachers. Additional expertise could also be provided by Public Health and other county council staff. Gloucestershire was the first county to take this targeted approach, which will ensure that the right support gets to the most vulnerable children, helping them to do better at school. We hope you like this video! Feedback from some of the heads & teachers we worked with on Project K last year in Cardiff. Details about Project K 2014 will be released soon. 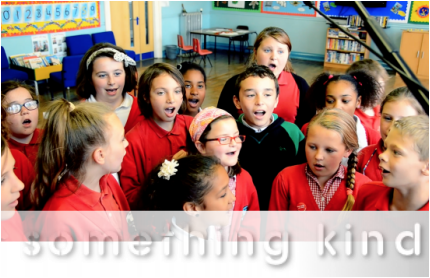 Project K is a special songwriting-in-schools programme for primary schools in Wales. Event sponsorship. 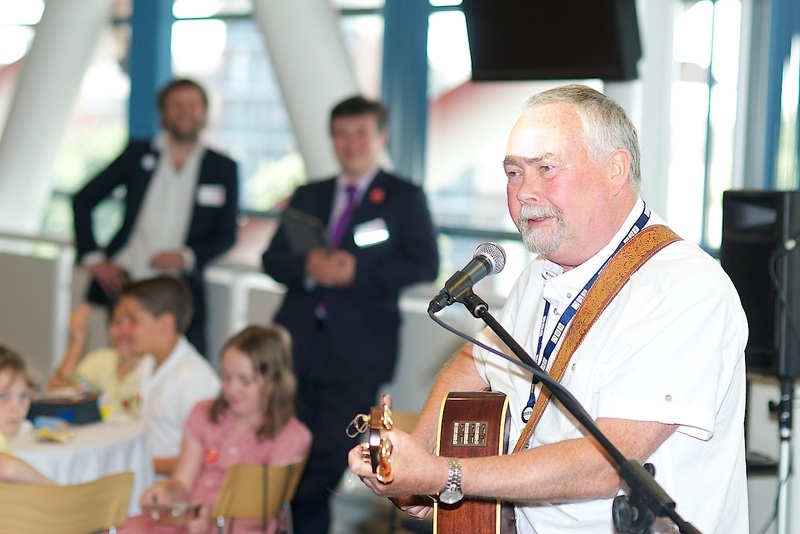 Last year we held the Project K celebration event at the Millennium Stadium! We can’t think of a more iconic venue and intend to ‘takeover’ the stadium again next year. Can your company help us in 2014? Make a personal or company donation towards our goal of bringing Project K to more than 1200 children. Visit BT MyDonate where you can make a commission free donation towards Project K.
If you have a place on the Cardiff Half Marathon 2014 or are planning a challenge event/activity, please consider raising funds for us and Project K.
If an employee decides to raise funds for Project K, could your company match it? Provide in-kind support, for example marketing opportunities like advertorials in magazines, or letting us utilise any spare printing capacity for posters, stickers, leaflets even extra special Project K badges! Whatever you decide to do, it will make a difference to a great many primary school children in your community. Over the last four months the Songwriting Charity has been working with ten schools in South Wales. The pupils benefited from a fully funded song-writing project called ‘Project K’, promoting peace, celebrating song and remembering Kate Johnson, the sister of the charity’s CEO, Nathan Timothy. Kate was a visual artist in Cardiff who sadly passed away in July 2012 after a short illness. Kate was involved in the early stages of the Songwriting Charity’s work when it was founded in 2011. Project K schools assembled in the Millennium Lounge at the Millennium Stadium watching their high definition music videos for the first time! Phase one of Project K culminated in a celebratory event (our first ever!) held at the Millennium Stadium on July 8th with the support of the Millennium Stadium Communities Team and Capita Education Resourcing. 300 pupils from the schools, with teachers, parents and invited guests were in attendance. 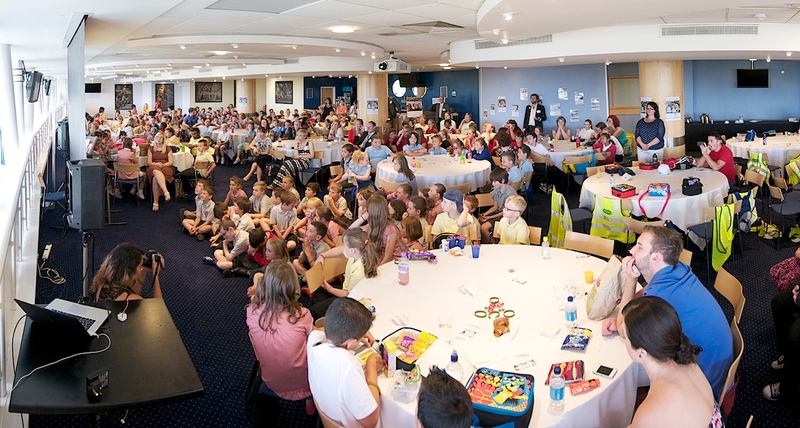 Each workshop and school performance (filmed in high definition) was shown for the first time to the assembled pupils and guests at the stadium. Special guests included Songwriting Charity Ambassadors, The Floe, who performed three songs, including an exclusive written for Project K and available now as a free download https://soundcloud.com/thefloe/t-minus-one-by-the-floe-free, and BBC Wales’ Frank Hennessy who delighted the crowd with an energetic and lively set featuring some of his and our favourite songs. It really was a pleasure to have Frank and The Floe as our VIPs for the day. Frank Hennessy presenter of Celtic Heartbeat, BBC Wales delighting the audience with the crowd pleasing Billy The Seal! The Songwriting Charity is continuing to raise funds to support further workshops in the Cardiff area with the aspiration that Project K will live on and reach out to children and young people across Wales. Initial funding for Project K was through a sponsored 3-Peaks Challenge in May 2013 a challenge undertaken by Paul James Newton, Richard Barron, Jamie Quarry, Scott Bailey, Scott Cohen, Paul Gregory, Rebecca & Joe Davies, Peter & Charlotte Rhodes and Nathan Timothy. 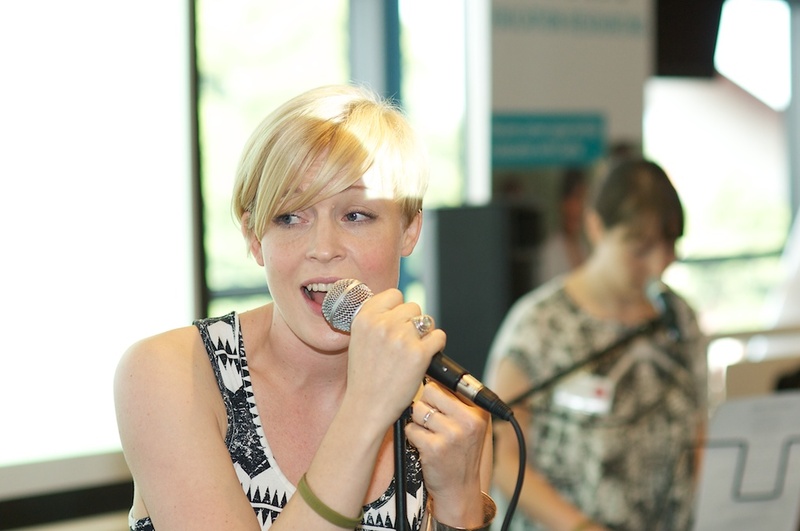 The Songwriting Charity has offices in Cambridge, Cheltenham and Dartford. Major funding has been awarded to The Songwriting Charity to support the delivery of our Bully Beat anti-bullying songwriting and wellbeing project to primary and special schools, and pupil referral Units across the Swale district of Kent. More than 1800 children will benefit directly. The work of the Nathan Timothy Foundation ‘The Songwriting Charity’ addresses the emotional health and wellbeing of children and young people using songwriting and music technology. The charity’s Bully Beat songwriting workshop has been designed to enthuse primary aged children about the process of lyric writing, singing, music arranging and contemporary production whilst promoting a serious anti-bullying message. To date children’s songs written across a range of Songwriting Charity workshops have been streamed approaching 70,000 times on the charity’s SoundCloud, and their music videos viewed more than 32,000 times via the Songwriting Charity’s YouTube Channel. We love what we do at the Songwriting Charity! Every week, we receive wonderful feedback and evaluation from schools we work with. The eagle eyed among you will know we also collect feedback at the end of our workshops from teachers and children, captured and uploaded to our SoundCloud. Every now and again, we receive an email or Facebook message from parents of children who gained so much in terms of improved self confidence and enjoyment because they participated in the songwriting workshop delivered that day. To follow is one such piece of feedback from a parent. It means so much to us that the work had such an impact. And, we’re very proud to be able to share this with the world! “I wanted to write and say thank you so much for giving my son an opportunity to take part in the one-day workshop held at Old Bexley Church of England Primary School. Briefly, my son has been under Great Ormond Street Hospital since he was a few weeks old and as a result of his condition he worries (and that is an understatement) when faced with anything outside of his normal structure/comfort zone. I cannot even begin to put into words how much my Son enjoyed his day with Nathan Timothy and the enthusiasm he showed when coming out from school. He was filled with happiness and excitement and couldn’t stop talking about his “musical day”. He particularly couldn’t wait to play us the song that the children had worked on that day and indeed he still talks about the experience now. The Songwriting Charity not only does fantastic work to get important messages across such as anti-bullying but also gives children an opportunity to build their confidence in a unique way. It is a win/win situation. I simply can’t put into words how happy and proud it made me when my son ran out of school so excited with a huge smile on his face, so thank you very much!” Mrs Sharon Keen. The Songwriting Charity is really proud to announce it has partnered with the newly formed High Barn Arts CIC. For the past ten years High Barn has built a reputation as a highly respected music venue and has been regarded as a home and seeding ground for creative development in music & performing arts. We want to expand on this reputation and build on our programme of events held at the venue to include all kinds of performing and visual arts. As High Barn Arts, (HBA), is a community interest company, any profits generated are reinvested right back into the business to provide a greater benefit to the artists who perform here, the audiences who attend events and the community. There are no share holders to take away any profits! The Songwriting Charity, provide songwriting programmes that enhance and support children’s learning & wellbeing, and will be using the High Barn as a base for their East of England operations. In addition to the work with the Songwriting Charity, HBAs will be providing a space for many other lectures, classes and work shops etc. This will directly contribute towards the future of the venue as well as supporting the community and the arts programme. The already established music, filming and recording aspects of High Barn will be nurtured and progressed within HBA with the aim supporting many more emerging artists. “Being a “CIC” will enable us to seek funding as well as sponsorship for a wide range of projects”. Explains Paul Boon, High Barn Arts Managing Director. “We have various sponsorship packages available for individuals or businesses to get involved and support the community with us. We also offer private and corporate membership opportunities too”. Alistair McMillan the Company’s Programming Director said, “HBA CIC will be providing high quality, affordable arts experiences to people from all walks of life”. Alistair went on to say, “We aim to provide benefits and opportunities to individuals, clubs, societies, educational establishments as well as companies”. High Barn Arts is dedicated solely to its community purpose, contributing to the cultural, social and economic benefit of the community as a whole. Enabling wider public use of the venue for social functions, creativity and learning, to interact and above all, to enjoy the experience. For further information about High Barn Arts, please call 01371 811291 or visit www.highbarnarts.org.